Three walks to report on. The first, late on Saturday afternoon, with friends small and large, from the Leighton Moss car park to Trowbarrow quarry and back via the golf course. 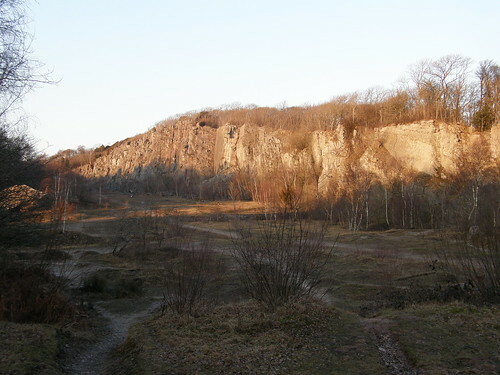 Very much an amble this one with lots of opportunities for scrambling on the rocks and boulders of the Trough for the kids. 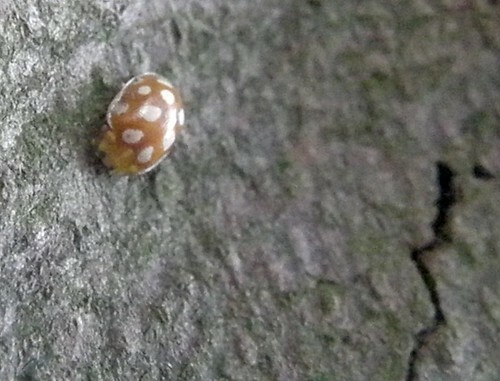 One surprise – this orange ladybird, halyzia 16-guttata, on a tree trunk on the edge of the quarry. It seems that this type of ladybird has become more common in the UK as it has begun to live on sycamore and ash. At this time of year ladybirds are usually dormant, so what this one was up to (not much whilst we watched) I’m not sure. Looking for information on ladybirds I found this helpful site. 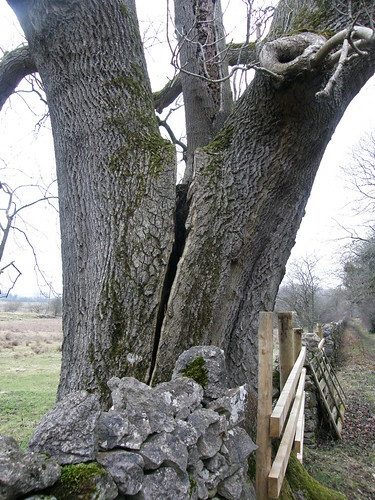 Sunday afternoon’s walk took me past an old friend – the Cloven Ash. I think the gap is getting wider. But I might be wrong. We’d come via Eaves Wood and Haweswater and were now following the trough again (although a little further north). 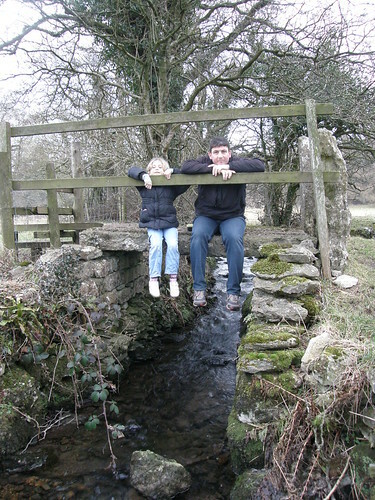 We followed it to this bridge – where R and S examined a geocache. 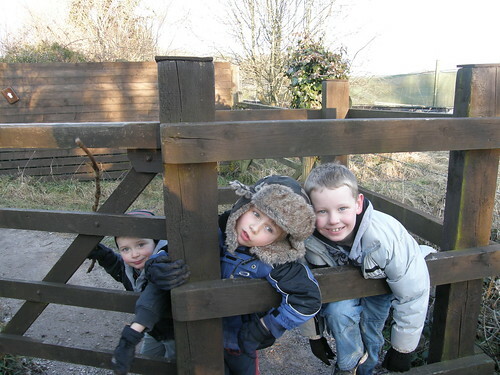 R has placed a new geocache nearby, part of a series on or near the parish boundary which he is organising to celebrate the village bicentenary. 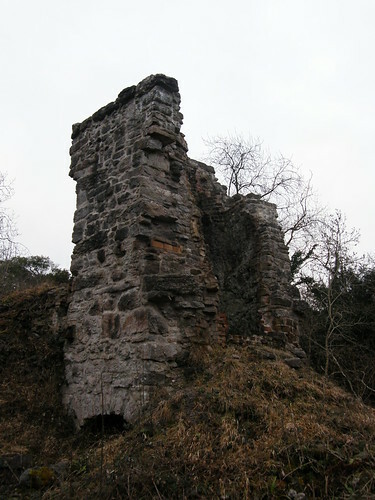 From the new geocache, we took a peek at the remnants of Coldwell Limeworks. Around the ruin there has been lots of tree-felling – R thinks that it’s the RSPB removing sycamores. Bad news for orange ladybirds! I knew that the RSPB had bought Silverdale Moss, but not that they owned this woodland too. Yesterday after work, I left the railway station in the wrong direction for home, and took a turn instead around Leighton Moss. I was hoping to catch the starling roost. I only saw the starlings briefly. But for about 10 minutes, I watched them wheeling in a huge cloud, about 100 yards away across the reed-beds. They’re fantastic to watch, but also, as I watched, many of the birds seemed to alight on the reeds for a moment – the sound they made as they all lifted into the air again was amazing. Finally the original cloud of birds was joined by a zeppelin of starlings from the north, and moments later by a long worm from the south and the new larger host sped away westward across the moss and were lost to view.